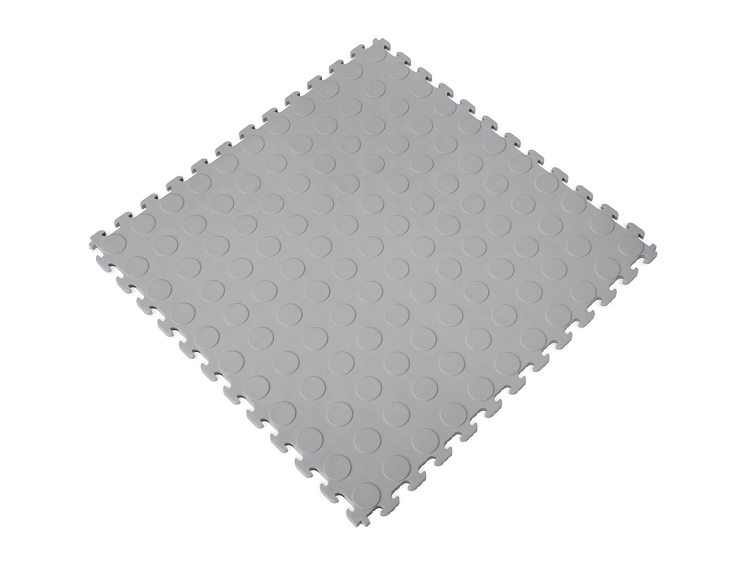 Norsk™ Raised Coin PVC multi-purpose interlocking tiles can be used in nearly any setting, including garages, workshops, and basements. 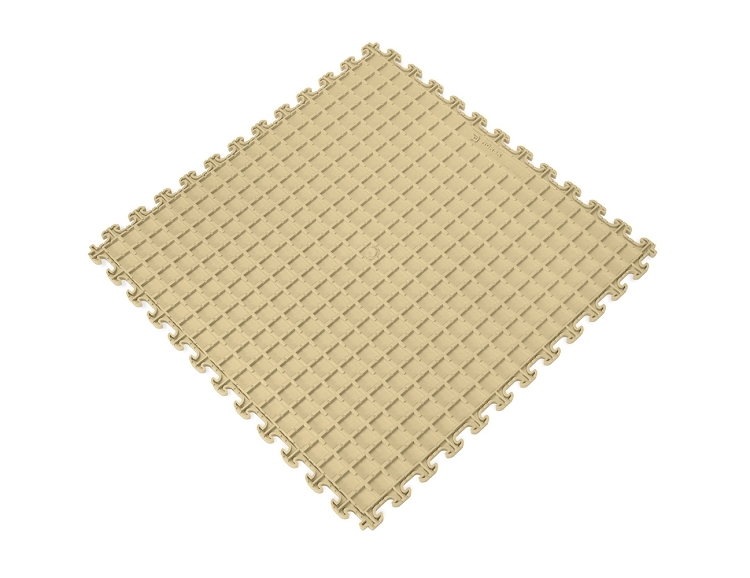 Our patented mushroom tooth design enables our Raised Coin floor tiles to be used in combination with any other Norsk™ tile products to create a unique interlocking floor to suit your personal taste. 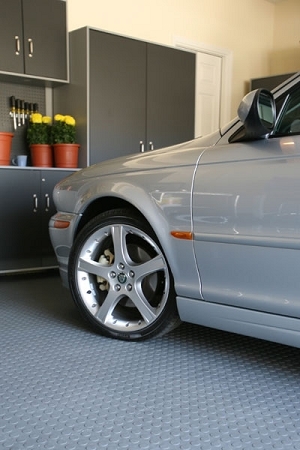 PVC floors are resistant to most chemicals and solvents and provide excellent acoustic and thermal insulation - making them the perfect choice for a garage floor tile or basement tile. Proprietary formulation provides flexibility and good anti-fatigue characteristics. 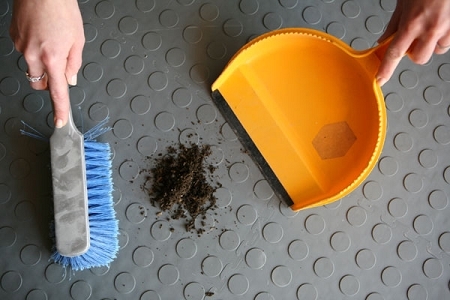 Norsk™ multi-purpose interlocking floors feature ease of installation and can be done with simple tools such as a tape measure, utility knife and rubber mallet. Each (6) pack box covers 13.95 sq. ft. and weighs around 17 lbs. per box. Our Raised Coin floor covering system is both durable and flexible to meet any multi-purpose flooring needs. [PROPOSITION 65] WARNING: This product contains a chemical known to the State of California to cause cancer, birth defects or other reproductive harm. 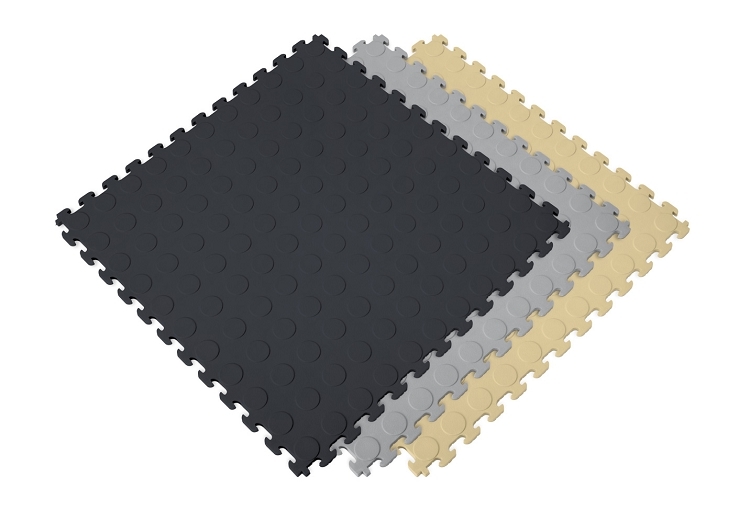 Integrates with other Norsk™ tile products for multi-functional use. 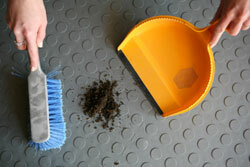 Portable - easy to assemble and disassemble for temporary use. 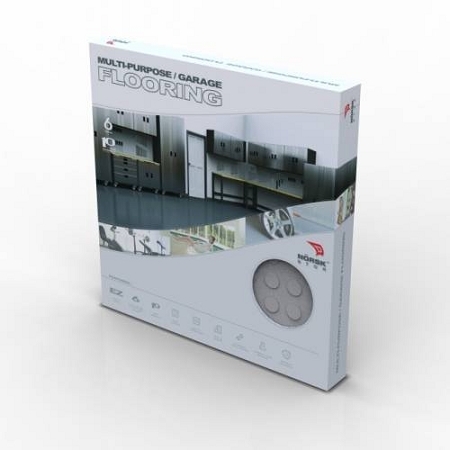 Only Norsk interlocking floors feature our Patented Air-Dry design. The Norsk Air-Dry design permits airflow under the tiles, allowing moisture to easily evaporate or weep away and airflow to dry it. All Norsk flooring Trim Kits include this same feature, making it the most advanced PVC flooring product on the market. Norsk PVC Tiles floors are easy to clean, slip resistant when wet, odorless, and resistant to most chemicals and solvents too! Single sample tiles of any style or color can be ordered to assist you in making the right choice for your floor covering! One of our most popular design patterns is the combination of Raised Diamond Metallic Graphite and Raised Diamond Metallic Pewter, which creates a very attractive floor design. Colors and shading may vary based on manufacturing dates and unavoidable shading variances that are a byproduct of the manufacturing process. "Attitude Garage, not being a franchise, has the flexibility to offer our customers a vast, yet diverse, line of products. In selecting merchandise to market Attitude searched the internet seeking the highest quality brands for flooring, cabinets, slatwall, car lifts and other items we install in our clients homes. 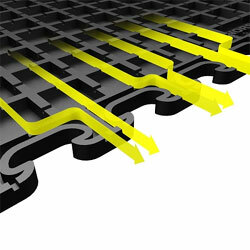 Norsk-Stor PVC Flooring has no equal when compared to other floor tiles. 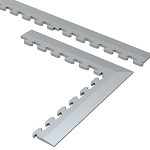 The flexible 18” square tiles are quiet under foot, install from wall to wall and around post, do not slide around and offer a metallic finish for ease of cleaning. In the past two years Attitude has installed thousands of square feet of Norsk-Stor Flooring and not a single customer has been unsatisfied. We have covered up dozens of epoxy floors and torn up several hard plastic tile floors. Attitude markets and installs only the very best, and Norsk-Stor PVC Flooring is our choice." "I finished putting down the PVC tiles in a day and a half, took longer than your estimates because I was working alone and I took my time doing the install. Looks great, excellent product, get a lot of compliments from neighbors. Your product is far superior to the one Jay Leno advertises for on the internet, easy to install, do the prep work ahead of time and follow your instructions. Looks great when finished, definitely will increase the value of my home. Easy to clean. Pliant, can even be walked on in bare feet. I'll definitely be ordering more tile when I finish the storage area in the basement (next project)." After doing research via the internet and having experienced the trials and tribulations of epoxy coating I choose to order the PVC tiles from Norsk. Without reservation I have concluded I made the right choice. I ordered the parts late morning on a Friday. Then called Norsk to ask when I would receive the shipment. Norsk confirmed there was a possibility of getting the order out the same day. Sure enough on Saturday at noon the shipment arrived. By Sunday afternoon I had completed the install of the 400 square feet with the assistance of my son-in-law. The garage was not empty. If it had been empty, the install would only have taken no more than 3 or 4 hours. The tiles look great. It’s nice to walk into the garage with a barrier between the cement and my feet. I would highly recommend buying from Norsk. Great product, easy to install, no adhesives. I put the floor in my basement, looks great. Many thanks. product arrived in a timely manner and took about two days for a 23x26 garage. installation was very easy and very little waste since all four sides of the tile were the same. 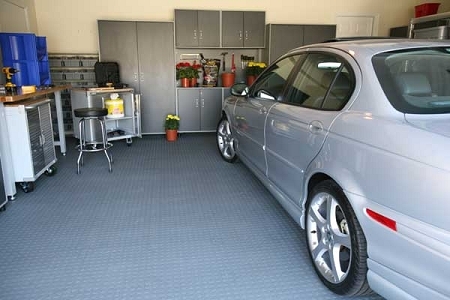 Very good product and my garage floor looks great. I just retired and plan to build my next house soon, where I will be flooring the entire garage. I wanted to try a product in a small area first and selected Norsk. So far, so good. Thanks for a good product and your topnotch service. They are on my garage floor what a differance. Received everything ok,i like the way they look and the quality is great.I'am very happy with my purchase, thank you. I had a concrete garage floor that I had originally painted using all of the prescribed etching and conditioning solutions and garage floor paint recommended. However, the paint still eventually flaked and came loose. After cleaning the concrete, I installed the Norsk PVC Tiles on top and am extremely happy with the result. The quality control of this product, the ease of installation and the final look was was excellent.